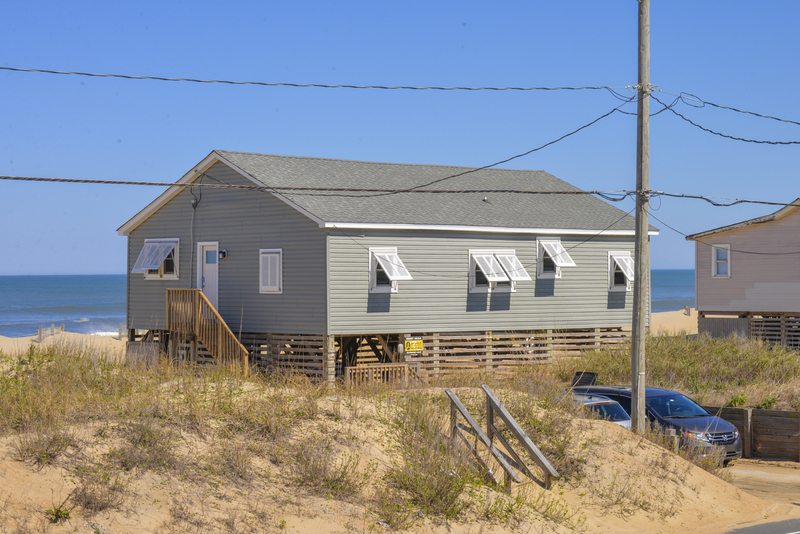 Outstanding Views of the Ocean & Beach await when you choose this Classic Beach Cottage for your Outer Banks vacation. This home offers lovely decor & comfortable furnishings. 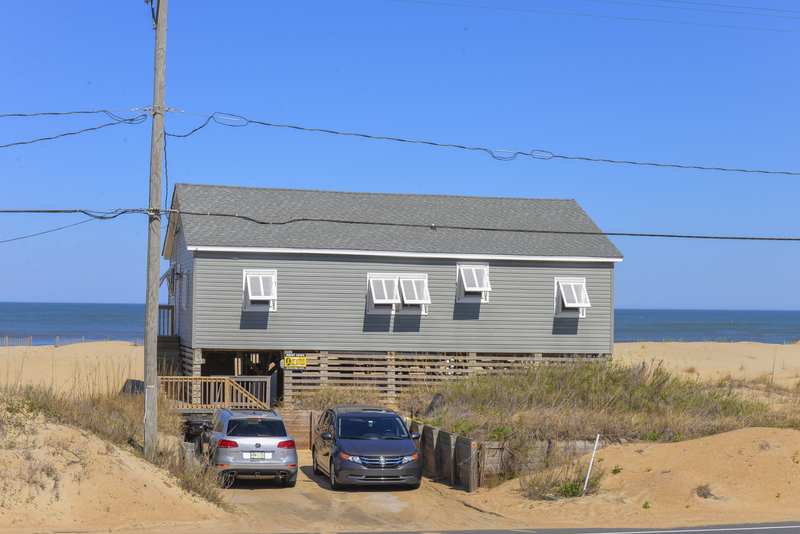 Located right on the Kitty Hawk Beach, this terrific home offers tongue & groove Pine walls & ceilings, & has a Screened Porch overlooking the Beach. A great place to relax & enjoy time w/your family! Ground Level: Parking for 3 Cars, Steps to Entry, Enclosed Outside Shower, & Charcoal Grill. Main Level: Living/Dining/Kitchen Area, Flat Panel TV, DVD, 3 Bedrooms (1 w/Queen & Flat Panel TV, 1 w/2 Doubles, Flat Panel TV, & Full Bath, & 1 w/Duo Bunk & Flat Panel TV), Full Hall Bath, Screened Porch w/Furniture, & Great Views of the Ocean & Beach. Features include: C/AC & Heat, Washer/Dryer, Microwave, Phone, 4 Flat Panel TVs, DVD, 2 Ceiling Fans, & Wireless Internet. No Pets. This is a Non-Smoking Unit. As always, we enjoyed our stay at the Baum Shelter. The addition of wifi was appreciated as we were able to work while there. Thank you! Love your quaint cottage. The location and views are spectacular. This home was just PERFECT---we really enjoyed our stay!!!!! This was my second year at the property. We love it and have reserved for next year. I love to watch the sunrise! This was my dream home! The location is great, the decorations are perfect, the size, layout, and space are everything I could have ever wanted! I highly recommend this adorable little cottage if you are looking for a dream vacation. Love the home and the porch is wonderful! Being on the ocean was the best! The ocean facing, screened-in porch is fantastic. Watch the waves, sunrise, ships come and go, stingrays, dolphins, pelicans, and then watch a storm roll in and stay dry (unless it's terribly windy) to witness stunning flashes of lightning across the ocean. The view from this house is magnificent. The Baum Shelter is a oceanfront gem!!! For a small group of people, you won't be disappointed...the house is very well maintained and you can tell the owners have take the time to make sure this is a quality vacation rental. It is the BEST house on the beach!